The Kabbala was the unofficial jewish mystics. It consisted of single rabbis and smalll groups of disciples who presented interpretations of parts of the jewish bible. These kabbalists looked at the bible from an esoteric standpoint and searched for the hidden allegories. Eventually some of them had contacts to the higher spiritual hierarchies. The Sohar is the most important multi-volume work of the Kabbalah. The name Sohar means 'Splendor', and the book is traced back to the texts of the prophets Ezekiel (Ez 1,28: 8,2) and Daniel (Dan 2,31; 12,3). Later kabbalists develeoped further theories about the Ain-Soph and the en-soph-aur, the infinite divine light, the 10 sephiroth and Adam Kadmon as symbol of the selfrealized man. 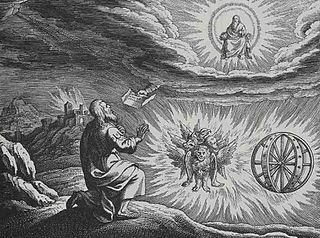 The Merkabah('Wagen') or Merkavah - mysticism (100 BCE – 1000 CE) was a precabbalist scool which relied on the visions of the Ezekiel Chap. 1, which have similarities to the tarotcard 10. They concentrated on the Heichalot - Literature with the divine palaces, the throne of god, the seven heavens and names of god as a means für the ascend into the heavens. All this had long ago been mentioned in Henochbook 2.
and further smaller texts. Most of these books were written between 200 and 700 CE. Also the christian Dyonisius wrote in his books about divine names and the celestial hierarchy. Another scripture with ascends is the gnostic 'Pistis sopia' from the Codex Askewianus. Features of the modern Kabbalah are the kabbalistic tree with the 10 Sephiroth, the EN-SOPH-AUR, the there overcoming boundless light, and the En-Soph, with which an adept cannot unite, and books as the "Sepher Jezirah", which speaks about "Jah Jahve Sebaoth", the ONE almighty, merciful and gracious God and creator. In addition, there are a number of writings of partly opposing Kabbalistic currents as the ecstatic and the theosophical direction of the older Kabbalah. 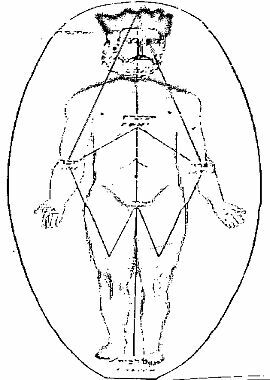 Since Pico della Mirandola (15th century), a Christian Kabbalah (Cabala) and a Hermetic Kabbalah (Qabalah) have developed alongside. The 22 Tarotcards, the small Arcans, which have references to these letters, are however already a mapping of the process of the 22 universal steps on a spiritual system. On step of 16 the universal doctrine (see the accompanying Tarotcard 16), this divine power overtakes the leadership of the process: God extasy, like the Ishvara Samadhi of the Raja - Yoga. In the end the Kabbalist realizes all Sephiroth in himself and becomes a personification of "Adam Kadmon". * Sepher Raziel HaMalach(Buch Raziels des Engels) with magical sygils. There are further books from contrasting kabbalistic currents such as the ecstatic and theosophical orientations of the older Kabbalah. Since Pico della Mirandola (15. Jh.) developed a christian Kabbala(Cabala) and a hermetic Kabbala(Qabalah). The goal of the Kabbalists war the selfrealisation of Adam Kadmon, the divine sephirotic man described by the Sepher Ha-Bahir. In addition to a pure life-style, the main means for this was the- mysticism of the alphabet and of the divine names. The kabbala teaches that it is not possible to unite with the EN-Soph and so goes up to step 18 of the Universal Path. In thirty-two hidden pathes of wisdom, Jah Jahve sebaoth, the God of Israel, the living God and King of the world, the Almighty, Merciful, and Gracious God ... He created his world by three counter - principles: number, counters, and counted. Ten numbers without something, and twenty-two basic letters, three mothers, seven double, and three simple. 7. Moreover, God has made the one against the other, the good against evil and the evil against good, good from good and evil from evil. Good distinguishes evil, and evil distinguishes good. Good is kept for the good and evil for the wicked. ONE - the divine spirit. His throne has always been ready. His name, which continues to live in eternity, is eternal and everlasting. Voice, spirit and word, that is the spirit of the holyest. His beginning has no beginning and his end has no limit. He chose three letters from the simple (the mystery of the three mothers A-M-Sch) and put them inro his great name and sealed with them the six ends. Five, he sealed the height, turned upwards and sealed it with J.H.V .... etc. The 22 letters of the Thora have been added to 22 steps of consiousness of the 22 tarotcards. The Schem ham-meforasch (tetragrammaton), which is comparable to the Nada, is the divine synthesis of vibrations and can only be experienced. Creation can be expressed by certain vibrations. Combinations of letters like "ONG - NGA" stand for the good and the evil. There are others and similar vibrations and also other names of god. All that is the secret science of Quabbalah. The cabbala teaches 10 Sephiroth(cernels of the good) and several Qlippoth(shells), in which the evil resides. The equivalent of the latter are the shells of kashmir shaivism. The appearance of the 10 Sephiroth is like a "flash without end", says says the Sepher Jezirah. A similar flash appaear in the Tarotcard 16. In the end the kabbalist realizes all Sephiroth in himself and becomes a personification of "Adam Kadmon". The Schem (Tetragrammaton) is comparable with the greece Logos and the hinduist Shabda of the Ishvara -Tattwa (Omkara, Nada). Ishvara is the equivalent to Jah Jahve Zebaoth. On the buddhic plane is another impure pranava which is a vibration of the maya - ethers, which generate the Qlippoth. In the Mahabharata is a "Nâga" a snake oder a negative force, whose allegorical archenemy is the Garuda, often depicted with a serpent in his claws. Mantras with the mit der ending "NGA" are not used in india. A true master gives Mantras - like 'ong namo'. Hrim und Hring are traditional Mantrams to control the Maya. The syllable "Ong" is not only used within 'Ong namo'. The order of the letters is also important. The Sepher Jezirah discusses accordingly all combinations of JHV to VHJ. Hiram(Hjrm) is the salomonian master-builder. The indish "Sunprayer"(Surya Namaskar) uses Mantras like Hrim, Hraum, Hrum und Hraim. These have effects on the lower planes. Such linguistic considerations can only be applied on the ancient Hebrew language as well as on the ancient Sanskrit, the language of the gods. God created the world according to the Kabbalah by three counting principles. All science, therefore, ends at a certain limit where there are no more units. There is a world no longer comprehensible to reason, since it has no measure for the infinite and the unity. Among these are the mathematically comprehensible natural laws, which go beyond the well-known mathematics. The present man has not the intuitive intellect to descibe the upper worlds mathematically, which he does not even know and therefore can not model - but he would gladly conquer them. The Sepher Jezirah speaks of a graceful and merciful God "Jah Jahwe Zebaoth". The John Apocalypse describes god different: "No man could stand before the wrath of the Lamb, and of the one who sat upon the throne." The divine creates the power of anger (or the Hindu Maya force), and the evil ("nga") was thereby created. The Old Testament also states: "Fear the Lord, for he is great and mighty." In the Kabbalist writings, only Quodesh, the saint, is described as a kind and gracious ruler. Therefore "Jah Jahwe Zebaoth" is probably the creator god of the sixth plane (ishvara) and not the unknown highest godhead above the hindu parabraman or satyaloka. In addition to the "Sohar" with the Idra Sutta and the Idra Rabba the kabbalah includes newer books of Eliphas Levi wie "Transzendental Magic" and of Knorr von Rosenroth (Kabbalah Denudata), and not least of all recently the invaluable book by Franz Bardon: "The key to the true Quabbalah". Sepher Jezirah : Goldschmidt(Frankfurt 1894).